Our Ministry Residency is a one year residential ministry experience that equips and encourages the next generation of pastors, worship leaders, missionaries, and disciple makers for life, ministry, disciple making and kingdom advance. Launching in 2015, The Ministry Residency at Brentwood Baptist began with the goal of equipping the next generation of pastors, ministers and church planters to serve and lead the local church. The Ministry Residency provides a unique opportunity for young men and women called to the ministry in the local church to gain practical experience in a dynamic multi-campus church setting. For almost four decades, Brentwood Baptist Church has invested in hundreds of men and women who are now impacting the Kingdom of God locally and globally. 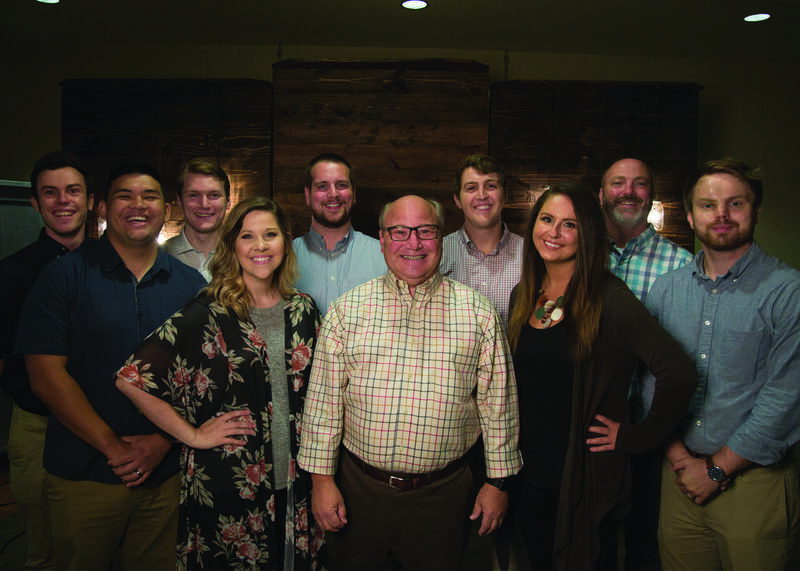 By virtue of its many resources, strategic location and distinctive approach to ministry, Brentwood Baptist is well-positioned to serve as a teaching and sending church. What Makes the Ministry Residency at Brentwood Baptist Distinctive? Brentwood Baptist believes that while seminaries provide a solid foundation in many disciplines, the local church is able to provide exposure to the realities of ministry. The purpose of the Ministry Residency is not to replace what our colleges and seminaries are doing but to complement them. It has been said that college and seminary education leans more toward information than formation. But the key distinction between school and church-based training is that the former is more preparatory, the latter more participatory. Simply put, some things are better caught than taught. But, not just by observing but by doing ministry in a congregational setting and then reflecting with experienced practitioners. Just as a teaching hospital provides its residents with further clinical training and the opportunity to practice their trade, so too the Ministry Residency at Brentwood Baptist seeks to provide more intensive ministry training, mentoring, and practical experience within the context of a body of believers. Under the supervision of an experienced ministerial staff, with the support of lay leaders and the collegiality of their peers, residents receive a foundation for a lifetime of ministry in a safe and supportive learning environment. Recognizing this, in August 2015, Brentwood Baptist Church began a Ministry Residency program for called and gifted individuals pursuing some form of vocational ministry in the local church. Successful applicants will have a level of character, skill, and education such that they can effectively lead a ministry on a campus of Brentwood Baptist Church. They will sense a clear call to vocational ministry in the local church and meet the qualifications for eldership outlined in 1 Timothy 3:1-7 and Titus 1:7-9. Preferably, they will have hold a graduate or post-graduate degree and have had some meaningful ministry experience. Exceptions will be considered with the strong endorsement of the church and staff in which they are currently serving or have previously served.